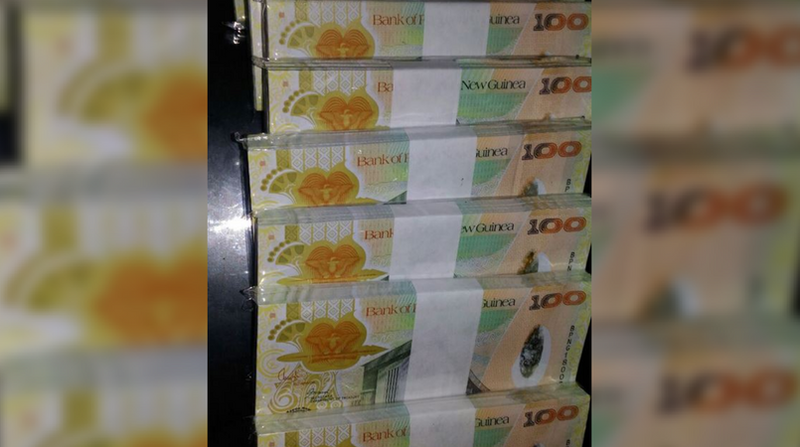 MORE than K124 million demonetised K100 bank notes sold to a company in Germany in 2013 is being illegally circulated publicly, Bank of PNG Governor Loi Bakani confirmed yesterday. These are old K100 paper bank notes, now without any value, which may have allegedly been "hijacked" somewhere in Asia while on route to Europe for destruction and circulated widely, even sold by some people online. Demonetisation is the act of stripping a currency unit of its status as legal tender. Demonetisation is necessary whenever there is a change of national currency. The old unit of currency must be retired and replaced with a new currency unit. Mr Bakani said yesterday that there were two ways of identifying it, the signature and the feel of the money – "it is paper, not plastic and also if someone returns it we have serial numbers". Saying it was not genuine, he warned that banks have been advised and a notice will be put out for these monies to be brought back to the bank if found. Mr Bakani appealed to the public worldwide to take heed that these K100 notes were valueless and could be used anywhere. "We sold it to a company in Germany to shred and recycle. They make plastics or other things, recycle them and they can even make wheelbarrow tyres," he said. "When the shipment went up to Germany, somewhere along the line in Asia it got disbursed to different people who are now trying to bring it back to change it to polymer note, plastic notes. On the way to Germany, they had a syndicate in Asia because it’s coming out from the Taiwanese, the Indonesians, and Asians."